Many of the most famous climbs in the Alps have days where they are closed to motor traffic, reserved for cyclists. Excellent. 1) They are NOT cyclosportives or races. 2) For most, there is no need to register, and they are free. Show up, start whenever you want. 3) There is a mix of cyclists of all levels, ages, sizes. Most riding leisurely. 4) The ambiance is great. Everyone is in a good mood. 5) There is usually a free drink and snack stand or two. Perhaps even (minor) entertainment. 6) Usually, it’s surprisingly uncrowded (but then these are big roads). 7) Check details: Usually the roads are only closed in the morning and often only the top half of climbs are closed. Use the search bar of this site top-right for more details on most of these climbs. The Hautes-Alpes region is the clear leader here holding over 30 events, many on legendary climbs like Izoard, Galibier, Granon, Allos, etc. 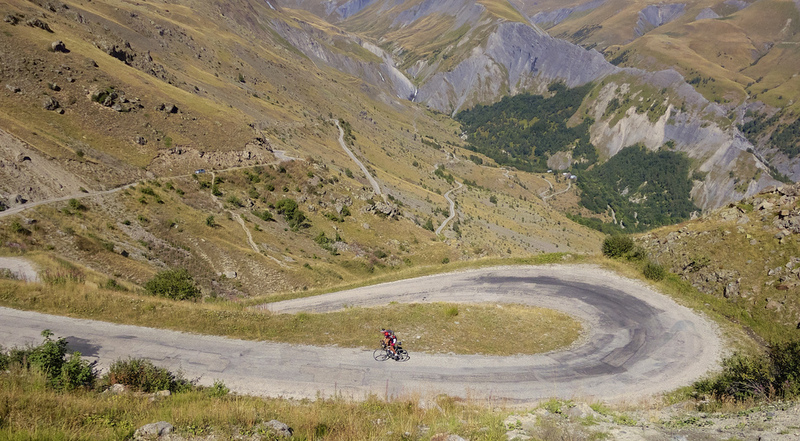 See here for my write up of the 2014 Izoard event to get a feel for one of these great days. 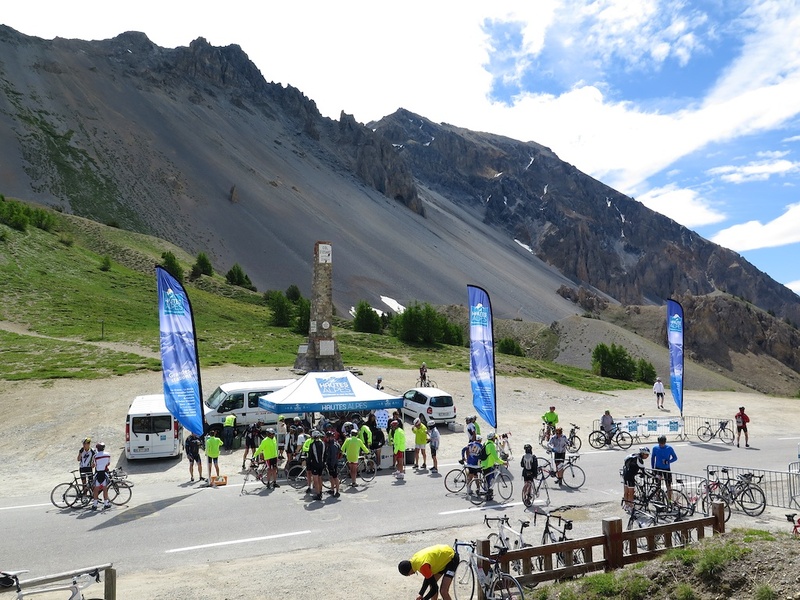 Every Tuesday morning, from June 27th until August 22nd, the Oisans region – the home of Alpe d’Huez – will close a climb for a bike-only event. See here for details. I can especially recommend Col du Sabot, and Col de Sarenne. 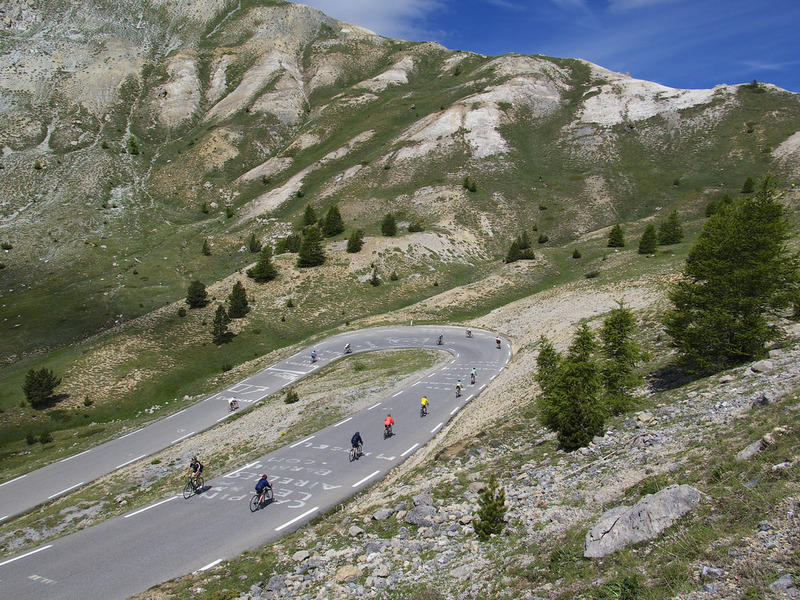 Col du Grand Colombier will feature in the Tour de France in 2017. The first Saturday of the month from June to September the road is closed to cars for a bike day. Note, in past years they have climbed the Culoz side. But due to a landslide closing this side, the even will climb from Artemare. Details here. 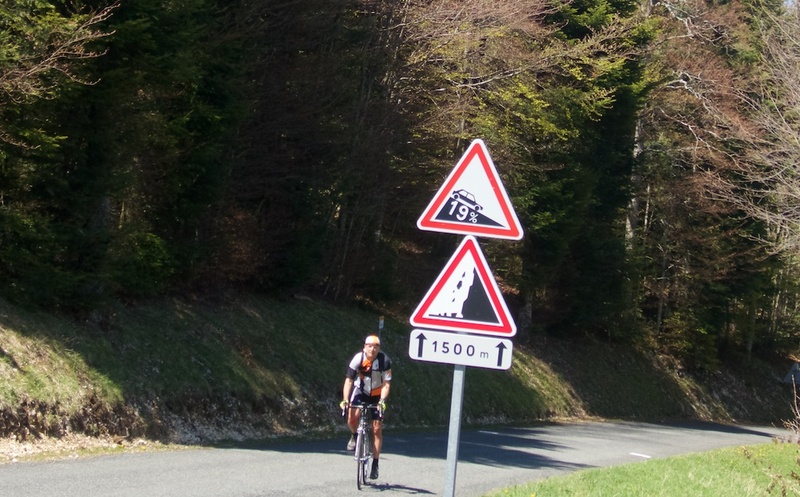 UPDATE: Due to a landslide on the Culoz side of Grand Colombier, the bike-only days with climb the Artemare side …. still starting in nearby Culoz. The “Lacets du Colombier” – above the landslide – are currently closed. I’ve been to perhaps a dozen of these “Un-Jour Un-Col” events over the years (Iseran, Glandon, Joux Plane, Ramaz, Aravis, etc). 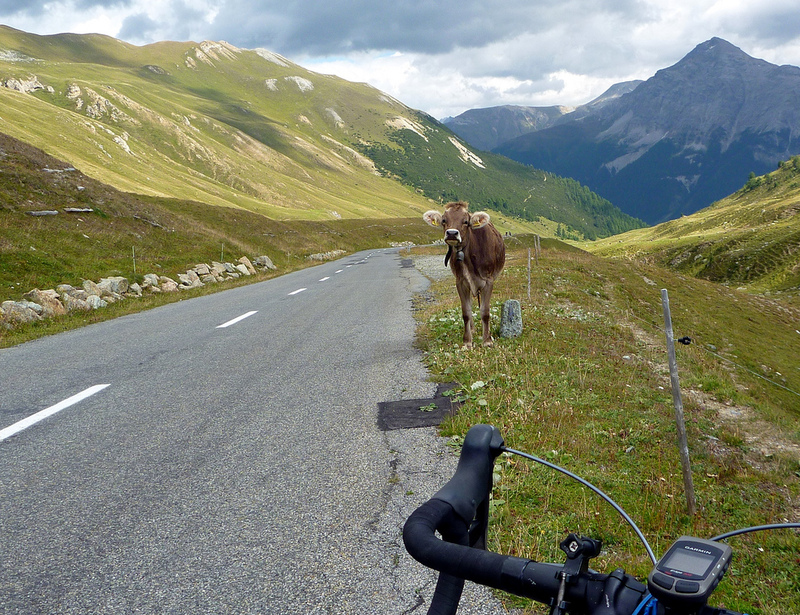 Unfortunately, last year the Mont-Blanc-Savoie region canceled their series of car-free days. A few climbs may still hold events, but I’ve yet to find any in this region. I’ll update this if I see any. 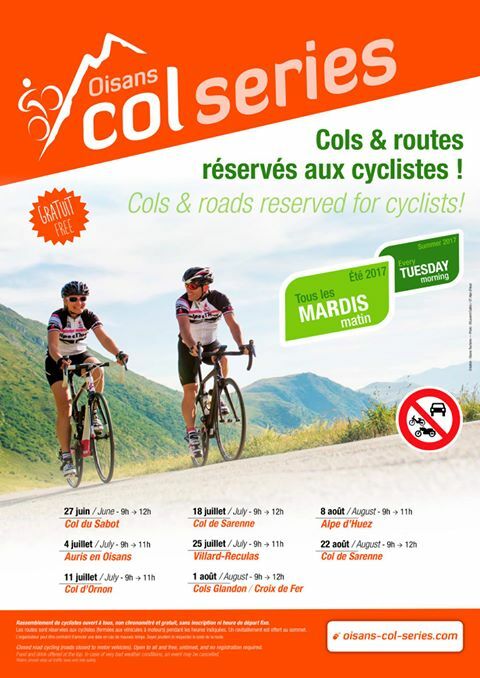 Update: Col de l’Iseran will close the top parts of both sides on June 25th. Details here. Fabulous, I may attend again with my wife. Monte Grappa Bike Day – June 3rd. See here for my experience cycling the first ever Monte Grappa bike day in 2014 – it’s an amazing mountain. 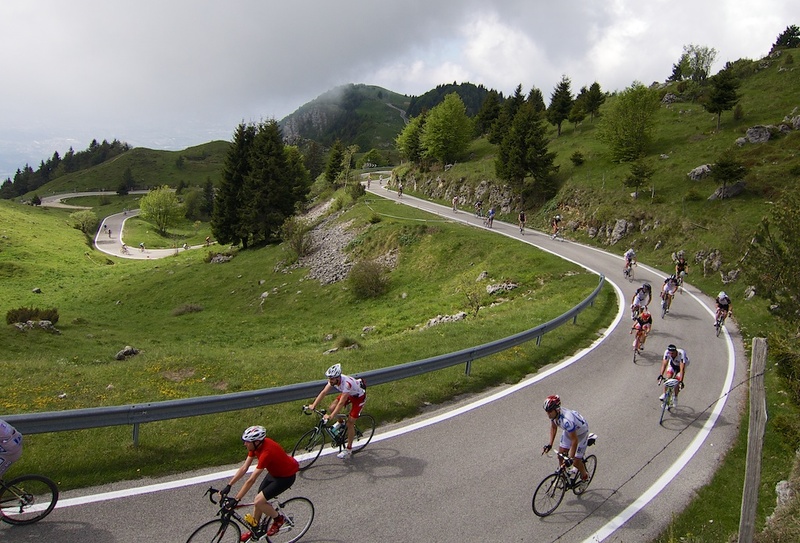 Sella Ronda Bike Day – June 25th. The beautiful 55 km Sella Ronda Route climbs four passes: Pordoi, Gardena, Sella, and Campolongo. 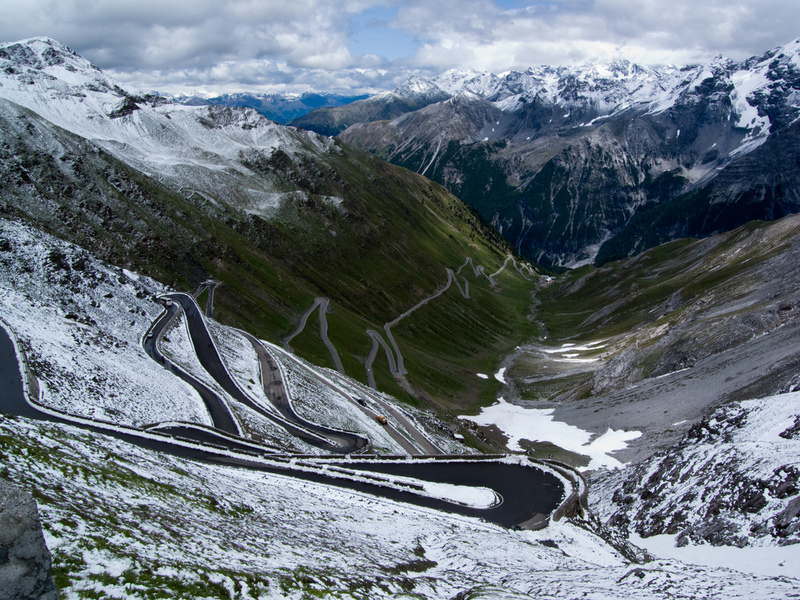 Stelvio Bike Day – September 2nd. Details here. Mendelpass – September 27th. Details here. Moosalpe – August 27th. Details here. Albulapass – September 3rd. Details here. Thank you for all the information. I Love this website.